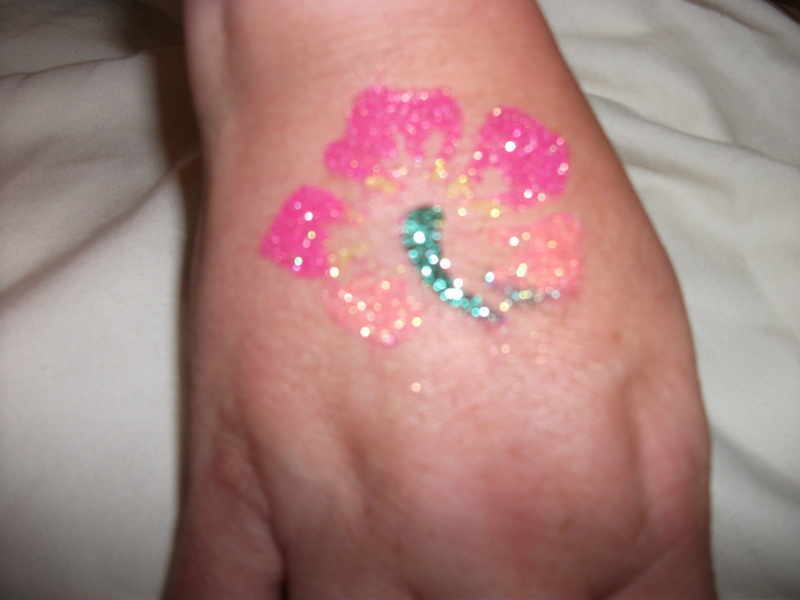 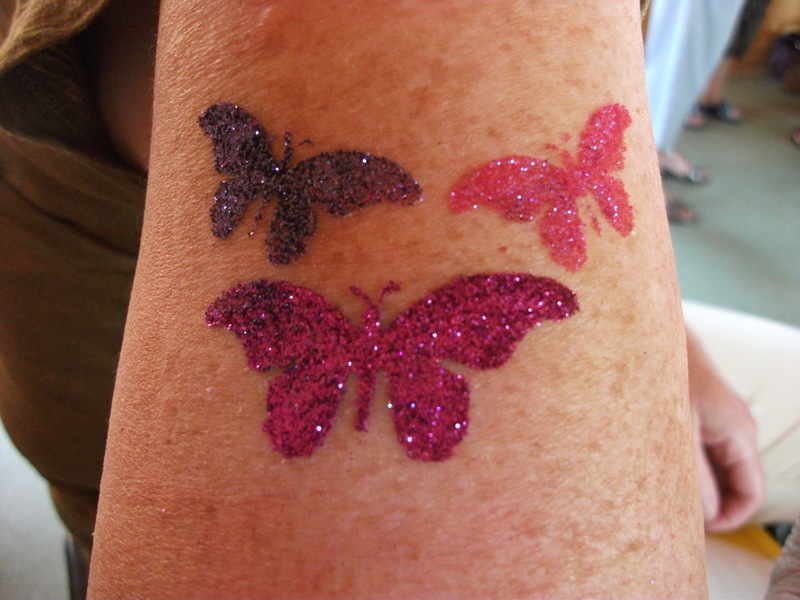 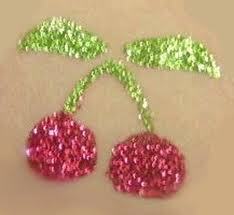 How would you like to have a glittery, shimmery, multicoloured temporary tattoo which is painless to apply and will last up to 7 days?? 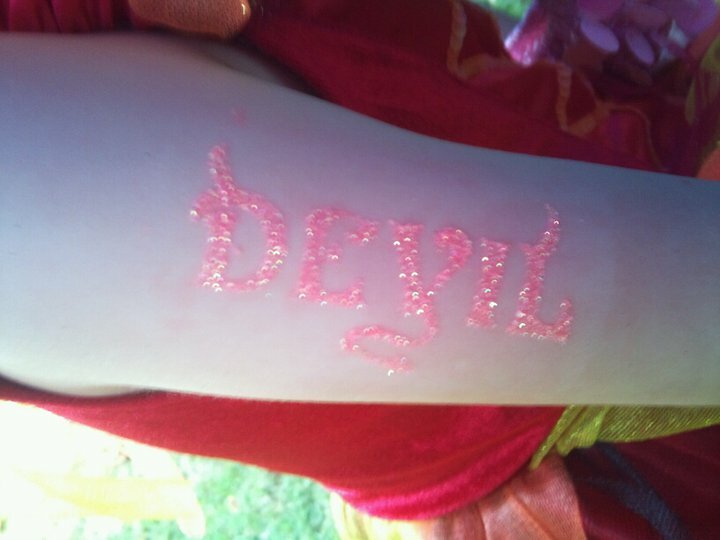 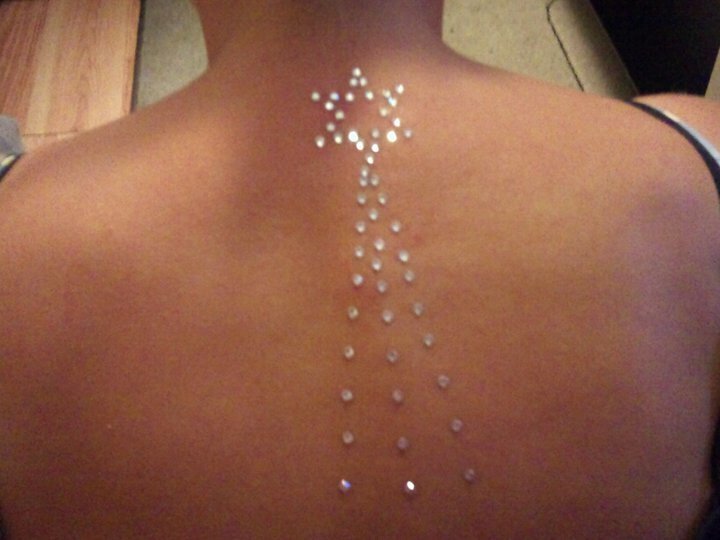 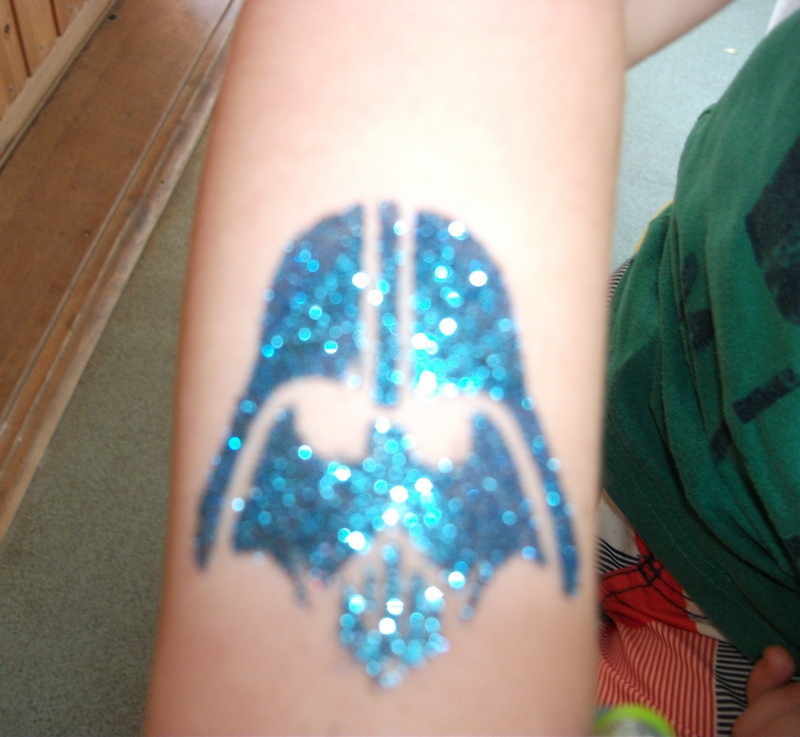 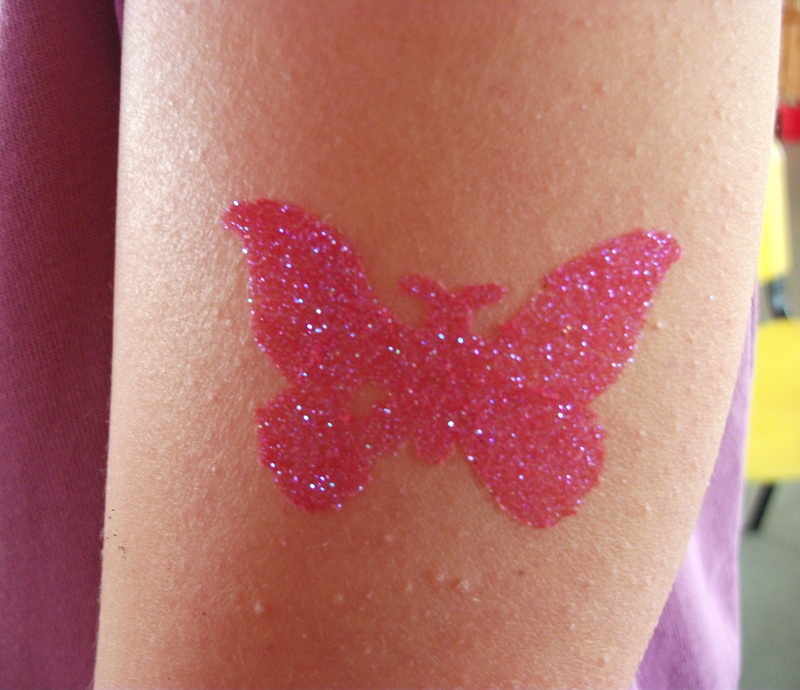 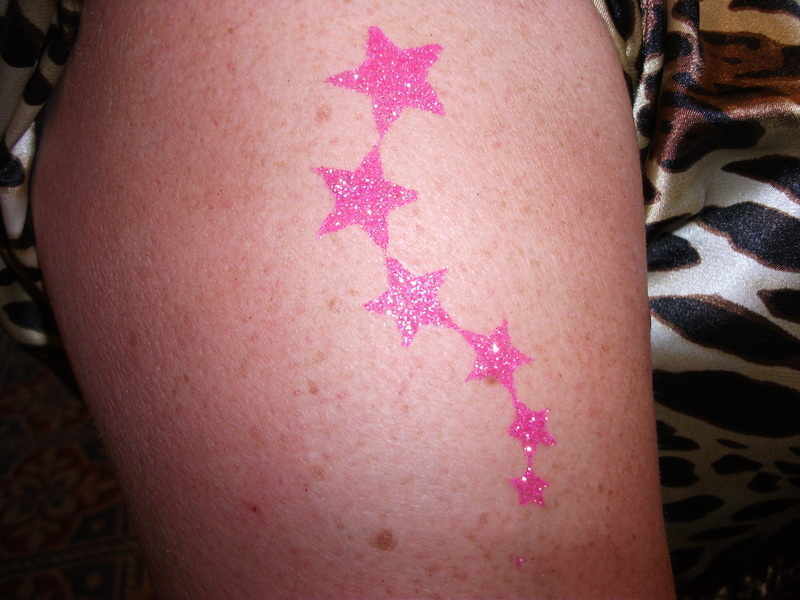 These tattoos are suitable for all age groups and we use hypallergenic cosmetic glue so it is safe for all the family. 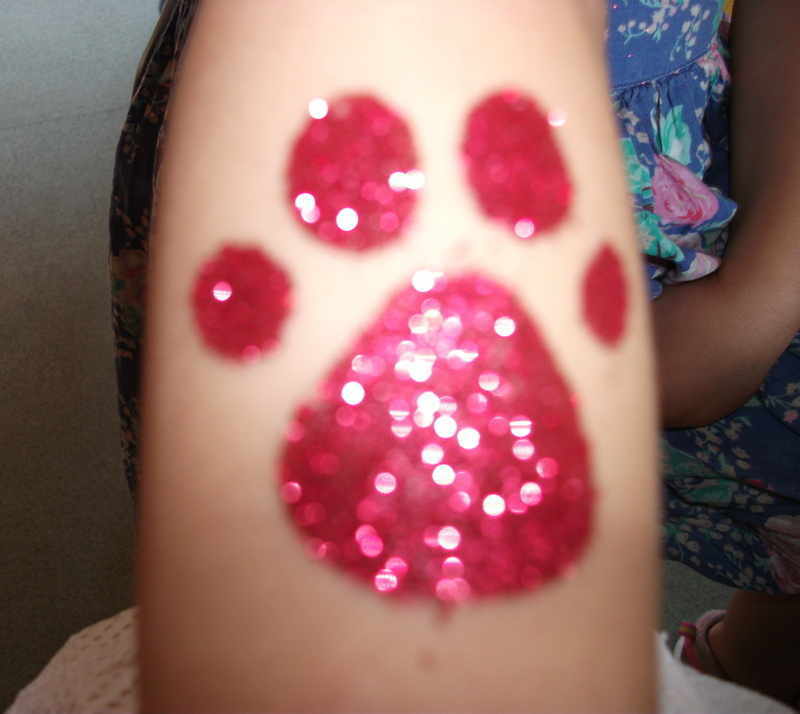 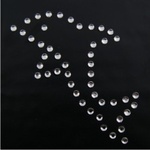 Our product is perfectly safe as we use hypoallergenic materials to ensure that it is safe as well as using special ultra fine cosmetic glitters and cosmetic gel to make sure that your skin is safe at all times. 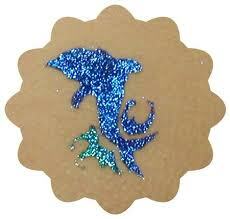 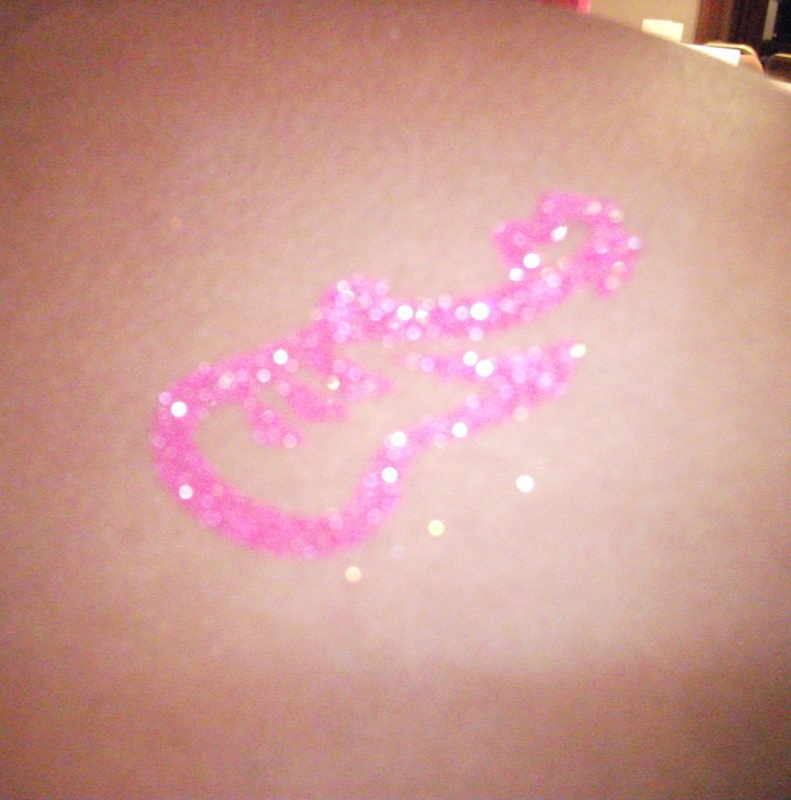 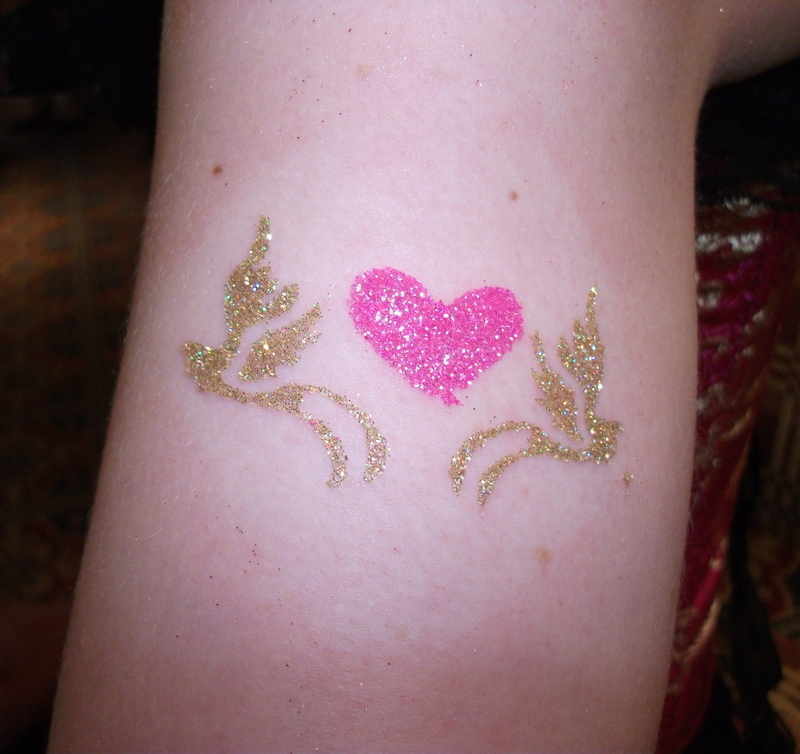 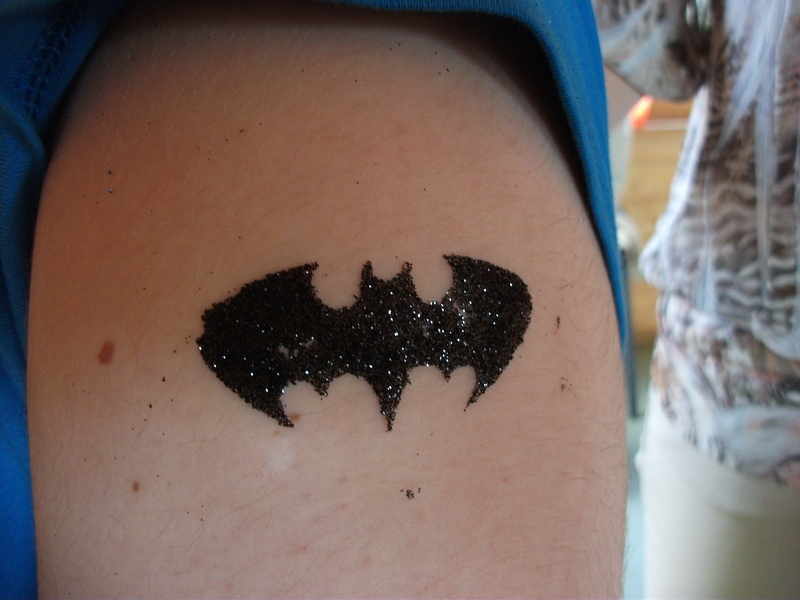 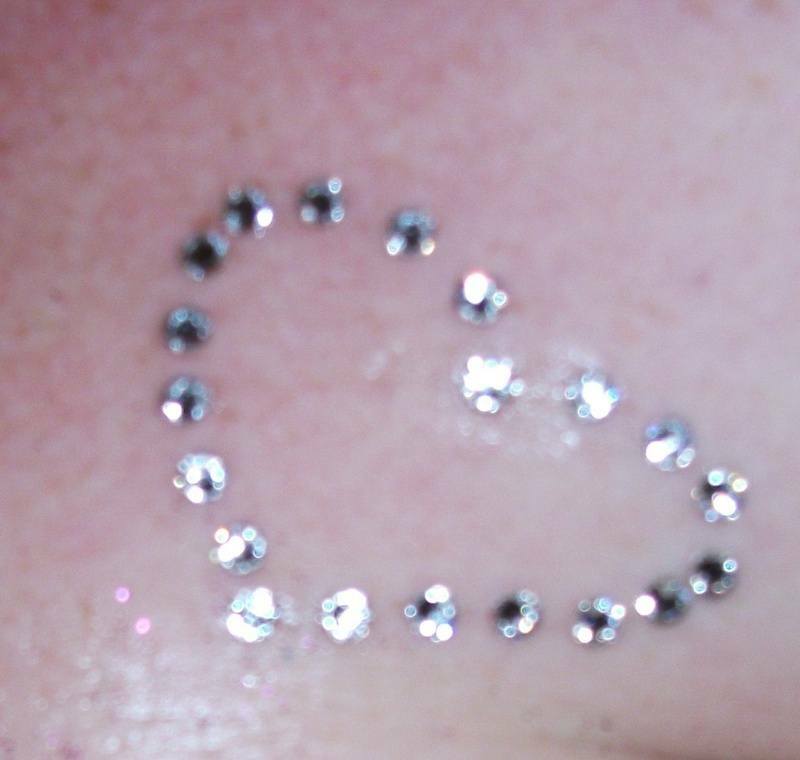 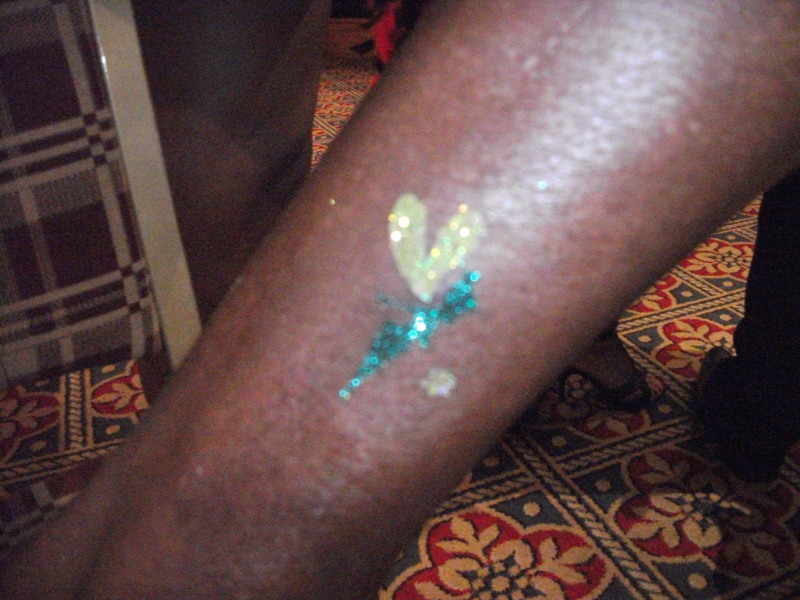 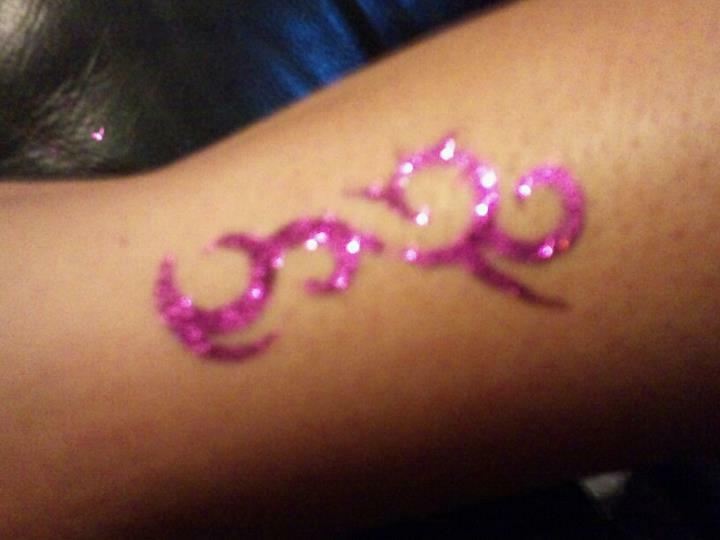 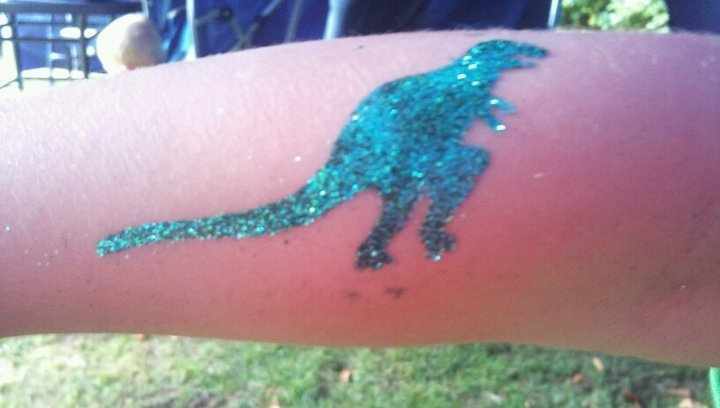 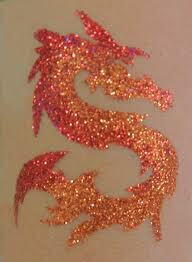 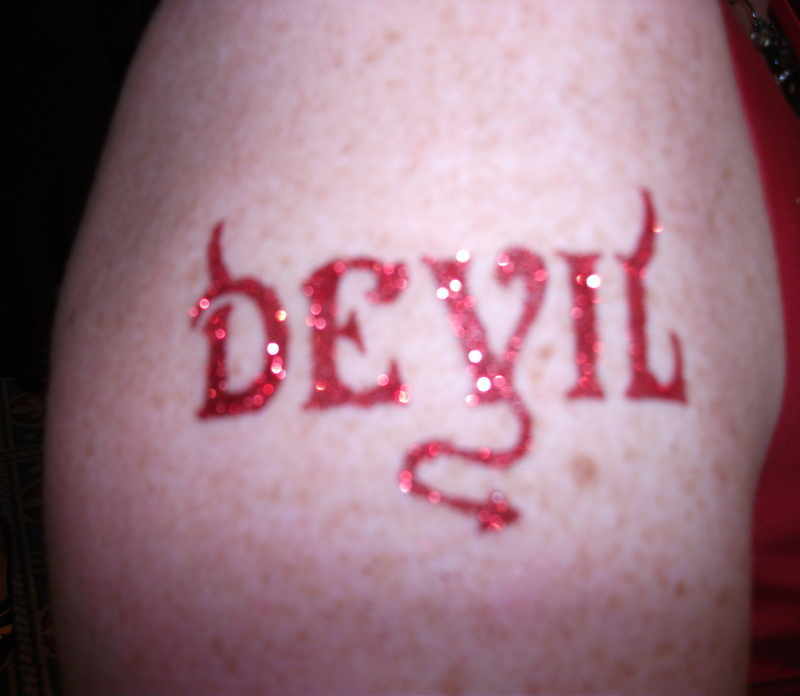 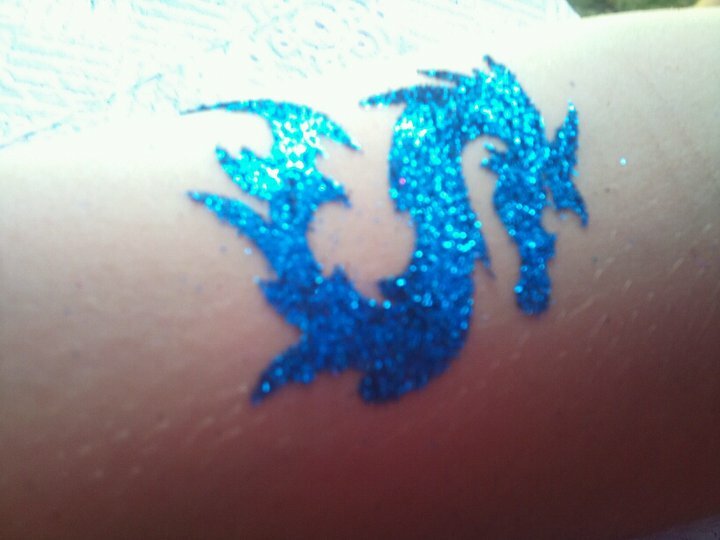 Our Glitter Tattoos are waterproof so you may bath or swim but prolonged damp skin may decrease the life span of your tattoo. 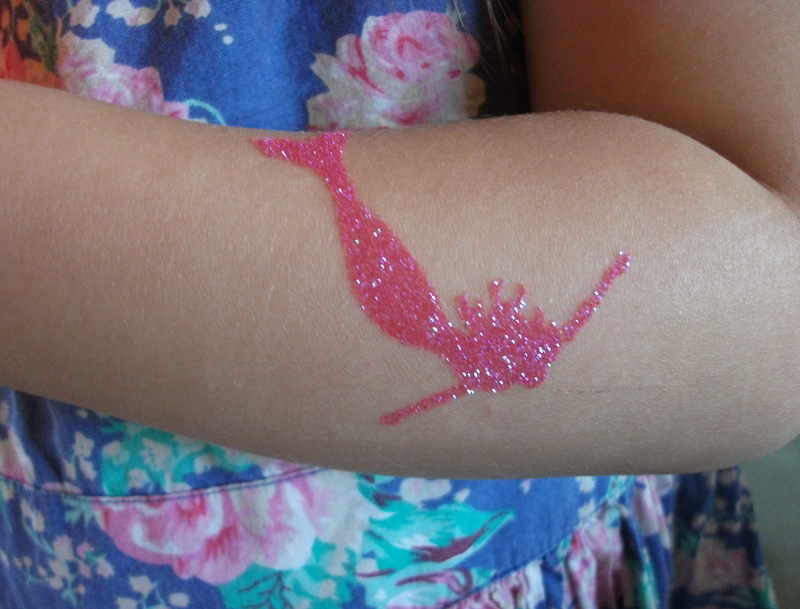 If you wish remove your tattoos then you can simply use baby oil or any oil based lotion to remove it.